Chad was born and raised in Bakersfield California. 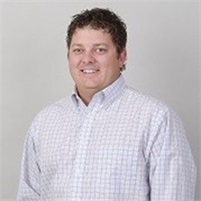 For seven years prior to joining Fallgatter Rhodes Insurance Services in May of 2008, he supervised the harvesting of 10,000 acres of almonds for a local custom harvester, and performed specialized stainless steel fabrication for sanitation and food processing during his college years. Chad attended Bakersfield College and Northwest Nazarene University of Idaho in pursuit of a Forestry degree. As a graduate of “The Ultimate Producer School”, Chad specializes in insuring agricultural and addiction treatment businesses. Chad is an adult volunteer with the Kern County Student Leadership program which provides mentoring and training of ethics and leadership skills for our youth. He also contributes his time to numerous Lions’ service projects improving the lives of our children with special needs. He is a member of the Kern County Farm Bureau and was recently elected as President of the Independent Brokers and Agents of Kern County. Chad is happily married to Carly Swift, his high school sweetheart. They are raising two beautiful children, Beau and Bristol. When Chad is not serving his client’s needs you can find him hunting and fishing or Barbequing for family and friends.